Some travel destinations are not the safest for solo travelers, so research places that are known as being solo travel friendly. Also keep in mind language barriers- are you comfortable going to a destination where English isn’t spoken? Some popular solo travel destinations include Norway, Thailand, Ireland, New Zealand, and Iceland. Also, check travel warning updates to avoid any destinations that have experienced recent terrorist activity. Once you’ve chosen a destination, how will you get there? What are your transportation options? If you aren’t traveling far, check into train and bus prices. Maybe you’d rather do a multi-city road trip. Chances are, you are looking into traveling internationally, so the best option would be a flight. 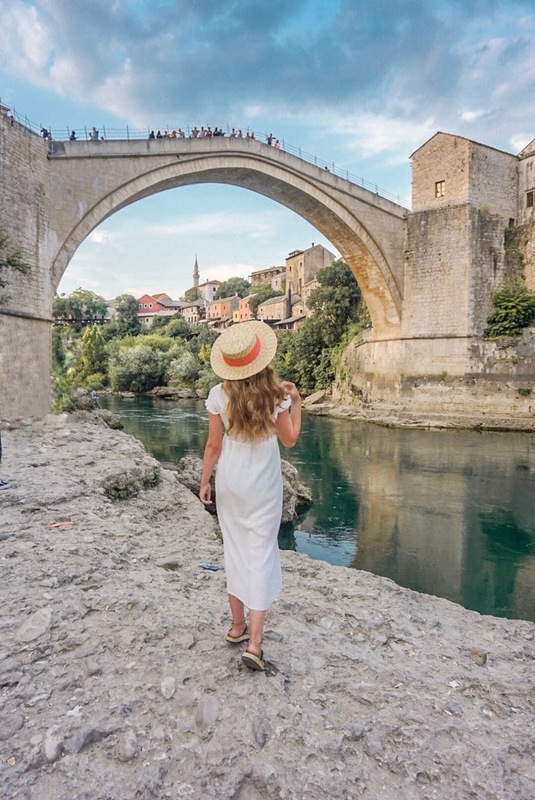 I always find the cheapest flights through Skyscanner, which will show you the most inexpensive flights to your destination. 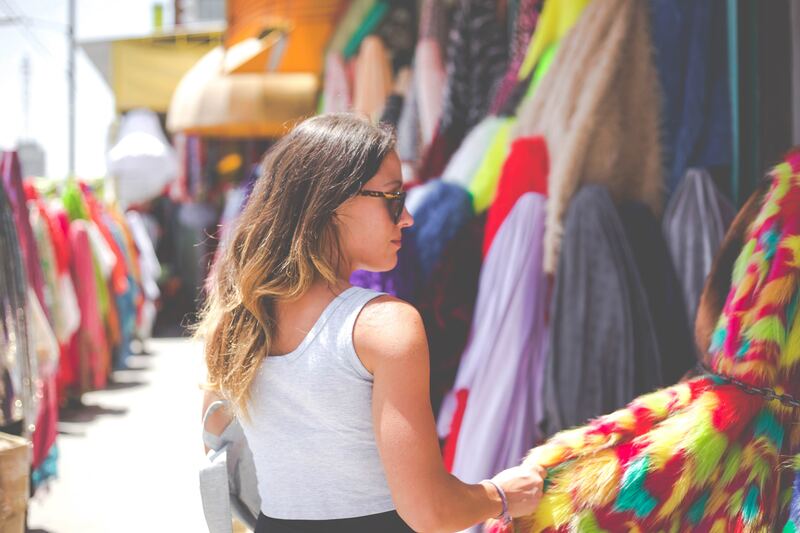 How much are you willing to spend on your trip? Are you looking for luxury or something basic? 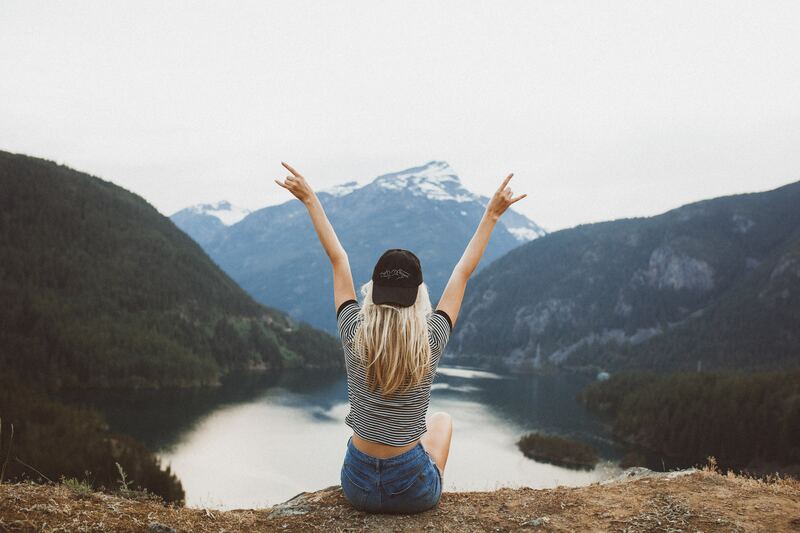 Set a budget that you are comfortable with for your first solo trip. Transportation and accommodation will likely be your biggest expenses. Then set aside money for excursions, food, and miscellaneous shopping. After purchasing your transportation ticket and mapping out a budget plan, you will need to book your accommodation. The 3 most popular options for solo travelers include hotels, hostels, and Air BnBs. Know what type of stay you want. Do you want to meet lots of other travelers? Hostels are for you. 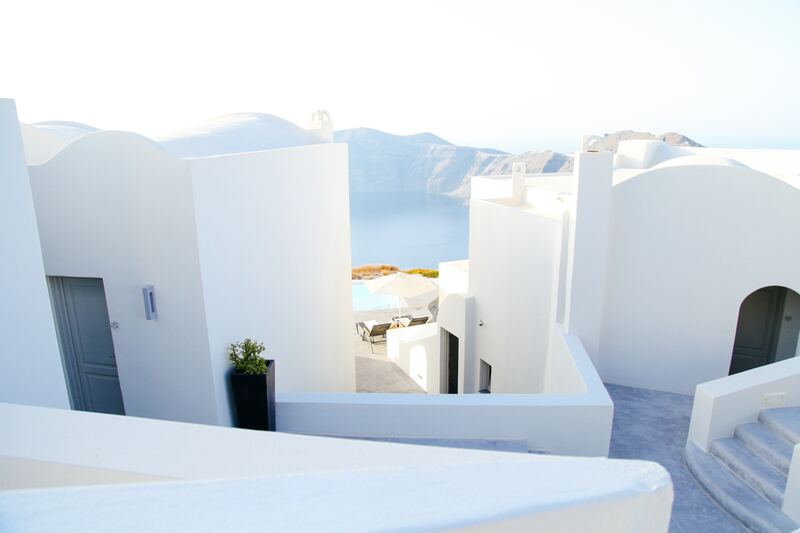 If you are looking for comfort and privacy, go with a hotel or an entire apartment on Air BnB. Air BnB private rooms are great for experiencing the area like a local, as you will be living with natives. Not sure which option is best for you? Check out HeyNadine’s video rundown on all three accommodation styles. As a solo traveler, packing minimally is the easiest way to go. Pack the basic essentials so you won’t be lugging around a bung of heavy luggage throughout your trip. Aim to fit everything in a carry on, and better yet, leave extra room in your luggage so you can bring home souvenirs. 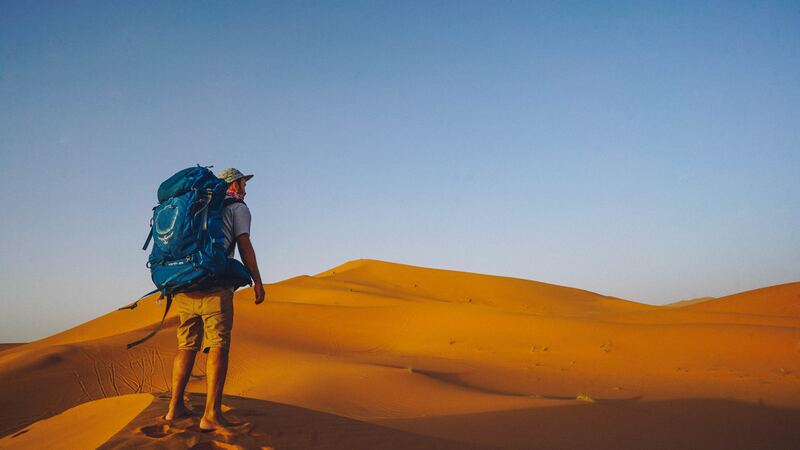 Many solo travelers use a hiking backpack as opposed to rolling luggage for a hands-free approach. Print Itineraries: Print out tickets, hotel reservations, and other important itineraries that you will need during the trip. Some airlines require for you to have the flight itinerary printed, or you will have to pay a fee *cough cough.. Ryanair**. Collect Travel Documents: Bring your passport along with a printed copy. Gather other important documentations, such as travel insurance, medical insurance, etc. 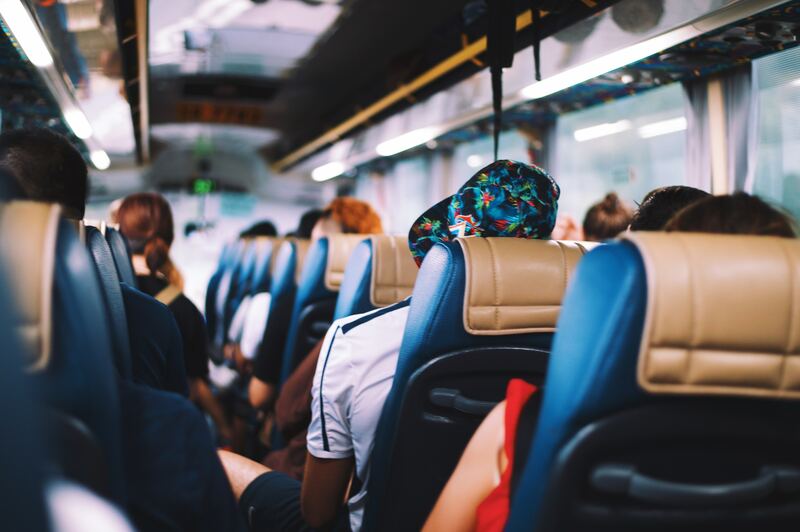 Know how to get to your point of departure: Look up bus/train schedules to arrive to the airport, book a taxi, or ask a friend for a ride so you will get to your departure point, hassle-free. Know how to get to your accommodation upon arrival: This is important to do BEFORE arriving to your destination. Research transportation schedules to get from the airport to your accommodation. If you want to take a taxi, look up prices online- many taxis that leave from the airport have fixed pricing. Plan any necessary itineraries: Book tours and excursions. I almost always go through Viator, which has thousands of options to choose from. 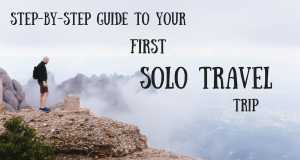 Your first solo trip can be intimidating. Try not to stress out- you will be fine. Just follow these steps, and you will have a smooth, wonderful experience. Solo traveling is one of my favorite ways to travel. So relax, and have the time of your life! 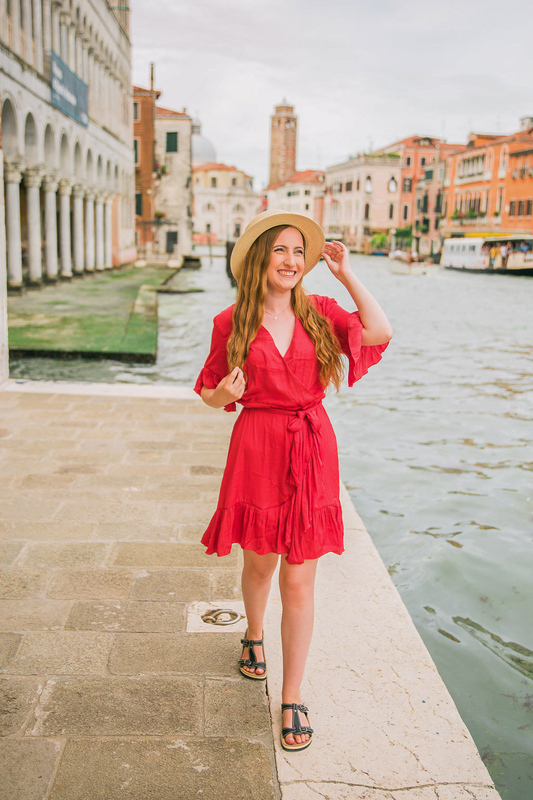 Are you a female that wants to solo travel, but is reluctant due to safety reasons? 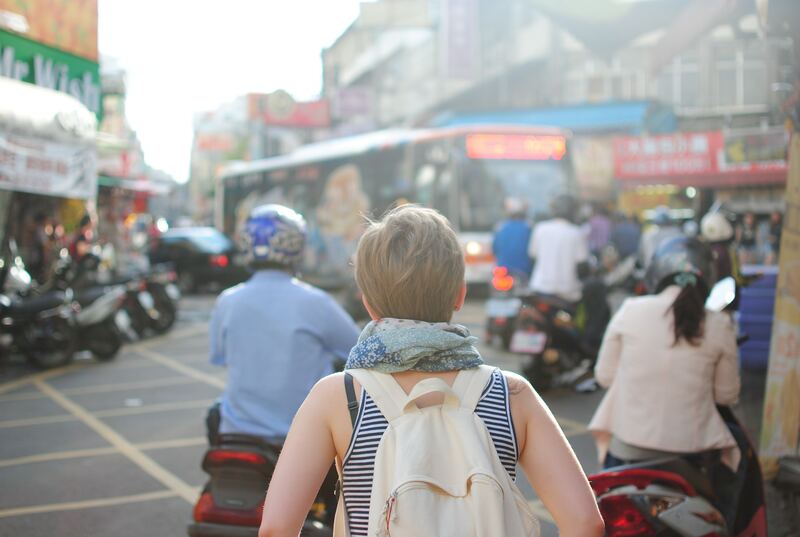 Check out my blog post, 7 Useful Travel Tips For Solo Female Travelers. Thank you! Its so true. Traveling should be an enjoyable experience, and over-planning can really take away from it. Great post! Love the tip about packing less, definitely sound advice. It’s a struggle to do sometimes, but so much easier when you’re traveling. Thank you! I’ve definitely over-packed before, and its not fun when you’re traveling solo haha. Fab tips! Solo travel is theee best way to travel! Thanks so much Mia! It made the world of a difference for me. I like having an idea of what I want to do, and have legroom for the spontaneous activities 🙂 So fun! 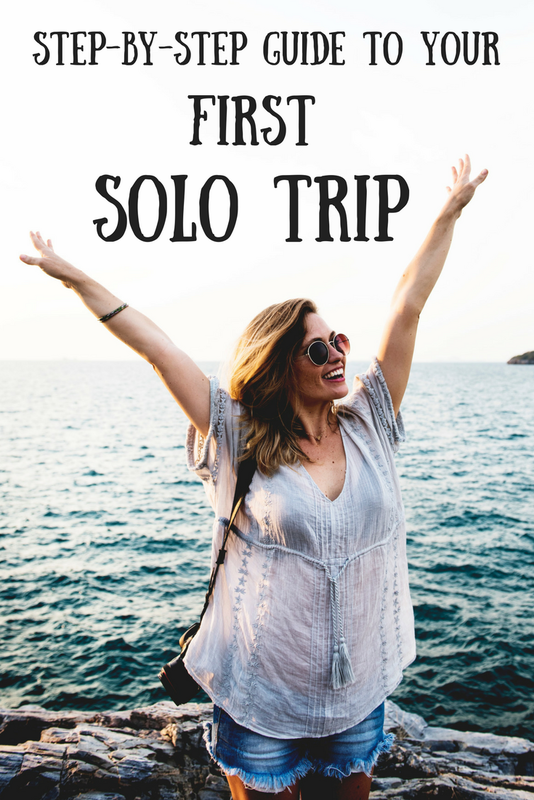 It’s a shame that fear ends up stopping a lot of people from travelling solo, but this article is a great way for people to start planning and just get it booked! I recently did a video on how to pluck up the courage to book your first solo travel trip (https://www.youtube.com/watch?v=yHVWK6uXBPk). I know it took a lot for me to book my first solo trip and I am so glad I did, it’s helped me in so many ways and I’ve got a lot more planned over the next year! This is actually very helpful. I’m planning on going to Iceland but it looks like I’ll have to do it alone, it’s pretty exciting and scary. Thanks for the tips.